This is gonna be my first attempt at writing a full review of a series, so please bear with any errors I may make, and share your opinions as well. With that out of the way, I will be reviewing a series that I had watched a few months ago. A rather short series, that makes up for it by being original and solid all through out. As with almost all reviews, this post will have spoilers. If you haven’t watched Moshidora yet, I suggest not reading this post until you do. So, let’s see how two childhood friends, a crash course in Management and a high school baseball team managed to pull off a nice run. Here is, Moshidora. 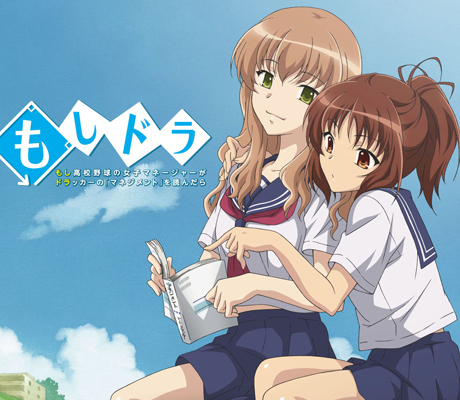 Moshi Koukou Yakyuu no Joshi Manager ga Drucker no Management wo Yondara (If a High School Baseball Team’s Manageress Had Read Drucker’s Management) or simply, ‘Moshidora’ is an adaptation of a light novel with the same name. The series ended last May, and spanned ten episodes. Moshidora begins with Kawashima Minami, looking for a book about being a manager (specifically, a baseball team manager). She ends up buying a business book called Management, by Peter Drucker, which is said to be the “Bible of the modern businessman”. She would be taking the place of her hospitalized childhood friend Miyata Yuuki as the manager of Hodokubo’s baseball team. All is well, except for one thing, Minami hates baseball. Minami and Yuuki have been friends for as long as they can remember. 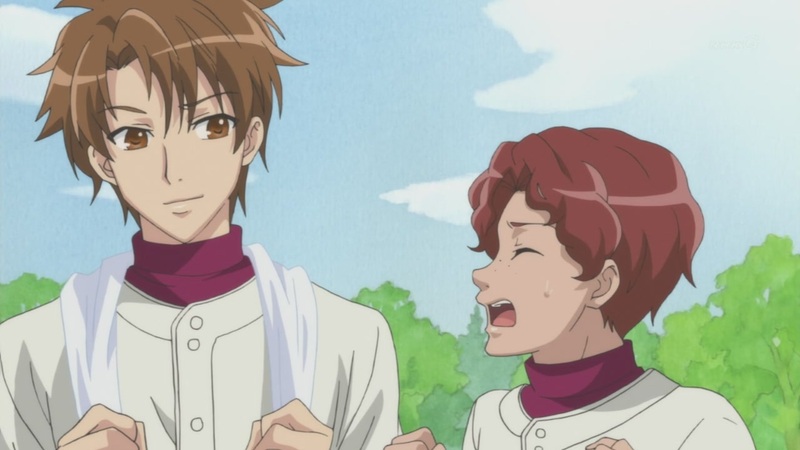 During their younger years, Minami had a passion for baseball. But she was disheartened by the fact, that all along, she would never be able to play baseball professionally with the more developed boys. Despite this, she still insisted to take on the job of being a manager, for Yuuki’s sake. Now, I say cliches, but I don’t, by any means say that it’s a downer for this series. The characters here are not what you would call fresh, but if you look at it from a different angle, it’s a way for us to have a definite idea of who the character is. Take for example, the team’s shortstop, Yuunosuke Sakurai. He’s the clumsy, nervous, but determined player in almost all sports drama. 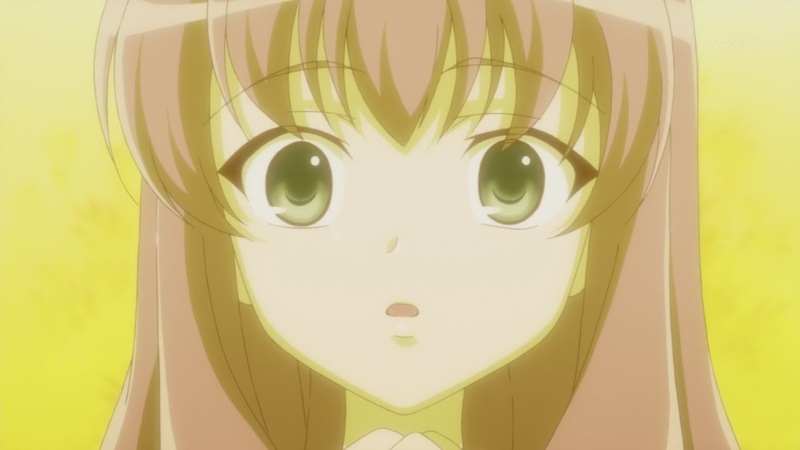 In the series he is known for his errors, and is stated by Minami as being one of his strengths. While watching a game, you know he can make a blunder, but you hope he doesn’t. It gives the viewers a sense of familiarity towards the characters, since, this is a pretty short series. We also have the team’s pitcher, Asano Keiichirou. He’s the “talented ace that gets in a conflict with his coach” cliche. However, this doesn’t last as long as the above, and he grows to be a mature player of the game. He’s easily my favorite player in the series. There’s a bunch of characters in this short series. I emphasize short because character development here is rather select. Sadly, we don’t get as much background on the other team members because of this. It was good for the series, since they focused on the main characters in that short amount of time, but I did hope to see some more character development for the others. An example of this is Kashiwagi Jirou, the team’s catcher. 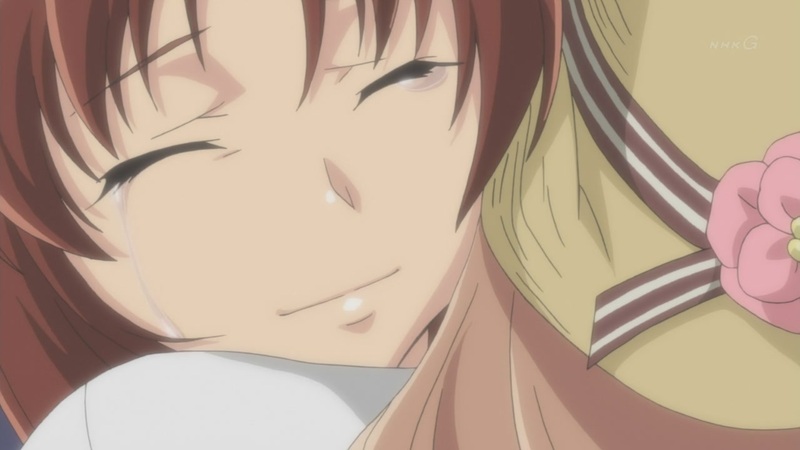 He was also a childhood friend of Minami and Yuuki, and, well, aside from that, there was nothing else. He remains to be a good friend to Minami, and is sometimes used for comic relief, but I think they could have done more with the guy. Aside from the characters, the drama as well is rather cliche, to the point that you could call it predictable. That aside, it was not a letdown. From the get-go, you wouldn’t expect this series to be a tearjerker. Although it is apparent that Yuuki’s death will happen some time in the future, it’s still something you would not want to happen. Honestly, I teared up a bit. Sure, it’s not AnoHana level, but don’t underestimate the drama in this series, it does have its moments. Management also has its share of screen time, as Minami (as well as the rest of the managers) often deliver excerpts from it as a point of reference. Concepts such as marketing and innovation, and how they apply it to playing baseball, was pretty entertaining, and to some extent, educational. This is one of the reasons why I hold this series highly. I love unique ideas in anime, and although this wasn’t the main focus of the series, it served as a wonderful medium to convey it. Though, it does get wordy at times. As a whole, this series feels very real, and I praise it for that. Be it Asano crying after being defended (somewhat) by the coach, or Minami’s breakdown. It makes you see that the characters here are very human, so yeah, they knew how to deliver emotions properly. Moshidora is pretty straightforward. It won’t throw you a curve ball. It’s a nice, unique and light series, that I would recommend to those looking for something short, but sweet. 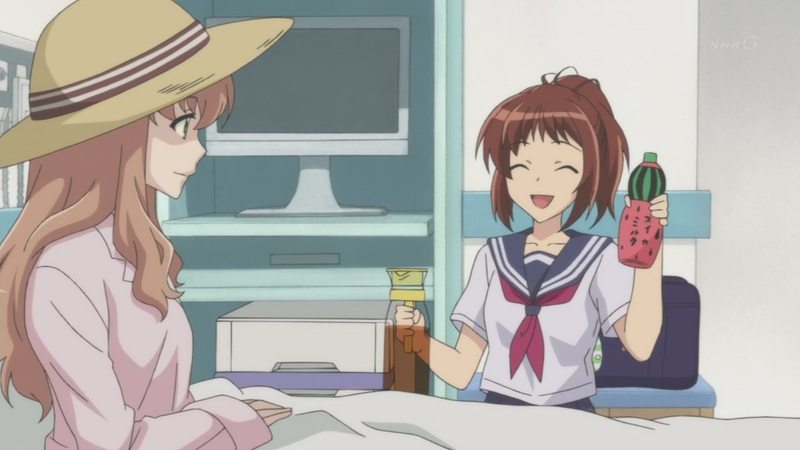 This entry was posted in Moshidora, Reviews and tagged Anime, baseball, highschool baseball, innovation, Kawashima Minami, management, marketing, Miyata Yuuki, Moshi Koukou Yakyuu no Joshi Manager ga Drucker no Management wo Yondara, Moshidora, nationals, Peter Drucker, Review, tearjerker by Leap250. Bookmark the permalink. Wonderful review! I’ve heard some decent things about Moshidora. It’s great that the anime feels authentic, especially with the characters and their emotions. That’s so important for an anime like this, with a mix of cliche here and there. This series is textbook drama at its finest, with hints of fresh ideas. I’ve seen the first four episodes of this anime. Sadly, I wasn’t able to finish it because I didn’t have the time to do so. Also, it didn’t really catch my attention because I wasn’t wowed by its first episode and at the same I foresee some of its clichés. I’m glad to read that you noted most of my sentiments because at least it’s reassuring that my initial assessment of this show is somewhat correct. But that said, I don’t think it’s bad and boring because it’s still something I see myself watching. I guess the story is either make or break for this series, since, it has been done many times in the past. Although it only had ten episodes, it took me a long time to actually finish it. The start was very slow, and I agree that it won’t catch your attention right away. I’d suggest watching it in-between seasons, though, I do think it’s kinda hard to pick this up now. Summer is doing alright, and the Fall lineup is pretty awesome as well. The art looks half decent enough, I may give this a shot. The art really is half decent at best, though it’s worth the watch if you’re not too big on that sort of thing. I thought this was a great series. Predictable, but nonetheless enjoyable. For a person like me who likes studying with the help visuals, I’d think Moshidora is great series to show how to apply theories of management in various situations. Just my opinion though. One of this show’s strong point is the Management aspect of it, which made it very interesting and unique. nice review its not bad at all, now i have to watch this series and that might be a little hard on my current schedule. Yeah, at first I couldn’t believe that it aired day after day.